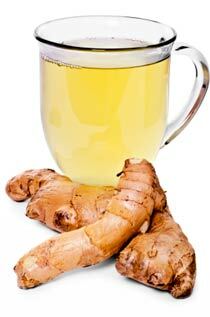 Nickie finds these anti-inflammatory foods most effective, especially green tea. The best way to lose weight is to put your body to work FOR you rather than struggling AGAINST it in the weight loss process. Our bodies were created with hormonal systems to control our weight (leptin and other hormones), blood sugar level (insulin and other hormones), and inflammation (cortisol). However, modern man has done things which thwart the natural balance. We eat highly-refined processed foods and chemically-made unnatural fats and go on unbalanced and extremely restricted calorie-counting diets which, in the long term, can make us fatter. As we gain an understanding of the changes we have subjected ourselves to and the physiological factors behind overweight, we can begin to control of our body chemistry (inflammation, high insulin and cortisol levels, etc.) 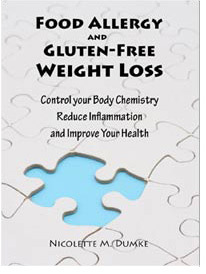 This will lead to improved health – for everyone, not just those with food allergies and gluten-intolerance – as well as to an easily-maintained healthy weight achieved without the hunger and struggle you may have experienced in the past. To read about Nickie's personal weight loss experiences, click here and scroll down to the second page of "The Story of This Book" (page 11 of the file or three pages from the end). Nickie Dumke learned to love cooking as a child “helping” at the side of the many great Italian cooks in her family who found cooking and loving as natural as breathing. 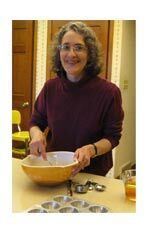 She has been cooking for various special diets for herself, family members, and friends for over 30 years. She lives in Louisville, Colorado with her husband, Mark. They have two sons, Joel, who is an electrical engineer at the Institute for Telecommunication Sciences, and John, who is working on a master’s degree in computer science at the University of Wyoming. She holds B.S. degrees in microbiology and medical technology and, as everyone’s mother, specializes in motivational pep-talks. We hope that this website will help you help yourself with your food allergies, gluten intolerance and weight and that most of your questions have been answered here. However, if there is something else you would like to ask, please contact us using the contact form below. Keep in mind that we are NOT medical professionals and cannot give professional advice. This website and all information derived from it is strictly educational in nature – we can only compare personal experiences with you. However, we may be able to refer you to a medical professional in your area who can help you. We would like to help however we can, EXCEPT with homework! Please contact us (the mailing address and phone number are below contact form) if you have any problems with ordering books. We welcome all comments about this website or the books featured on it. Fields with an asterisk * are required in order to submit the form. We respect your privacy and will not use your email address for anything but to reply to your questions or concerns and – IF we begin sending weigh loss tip emails and you have requested them – to send you the tips.